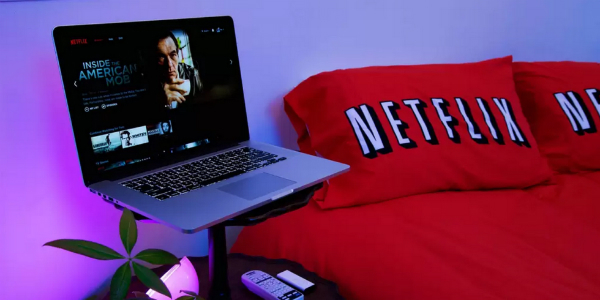 Netflix may have become an international service, but this room is surely something unique and exclusive. 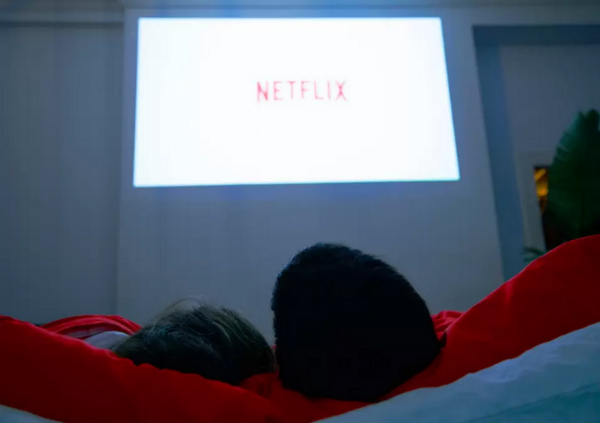 At $400 per night (Airbnb) ART404 + Tom Galle offer New Yorkers to ‘Netflix & Chill’ in the room with Netflix logo-printed red bedding and a mini bar stacked with champagne, bourbon, and whiskey. So if you’re looking for a place to spend Valentine’s Day, here’s definitely a unique one. Equipment with surround sound speakers, HD projector, and a laptop table the room is really made to enjoy the latest titles from both TV network and Netflix itself. There’s also Apple TV and a pretty extensive library. A marble bathroom looks seriously luxurious. A roof access allows for a romantic sunset view of Manhattan, or even dinner with wine. 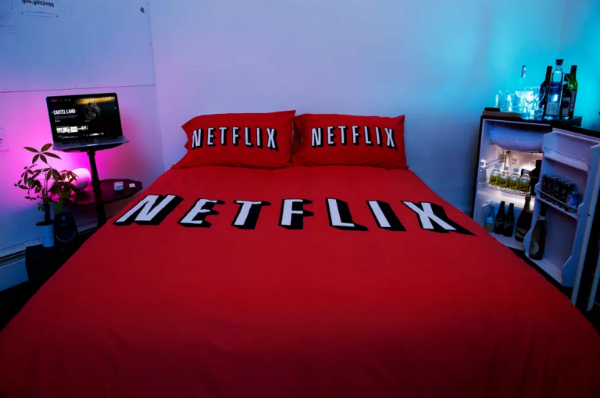 What a date night it can make for. 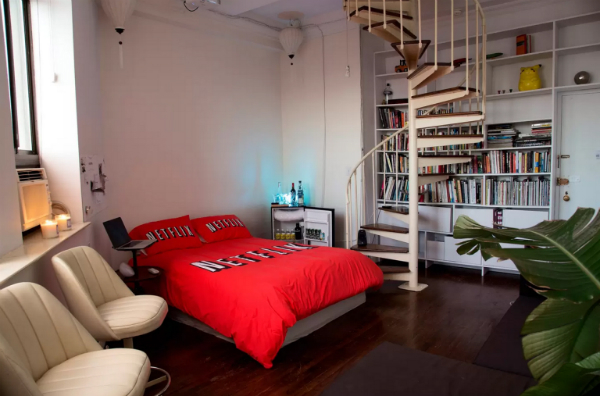 If you are worried about privacy, there is a lock on the bedroom and the hosts are staying one floor above the room. So, what do you think?